On Monday gold futures managed to build on recent gains, jumping to the highest level since September 10. In late afternoon trade on the Comex division of the New York Mercantile Exchange gold for December delivery was changing hands for $1,247.20 an ounce after bouncing off resistance at $1,250 and up $8 from Friday's close. Gold is now up 4.8% from its 2014 sub-$1,200 low hit early in October. Large investors and retail buyers have been selling into the rally, but latest weekly data show the holdings of exchange traded funds backed by physical gold increasing for the first time in five weeks. The net addition was modest – only 4.9 tonnes – but did lift total holdings off five-year lows to 1,667.2 tonnes. 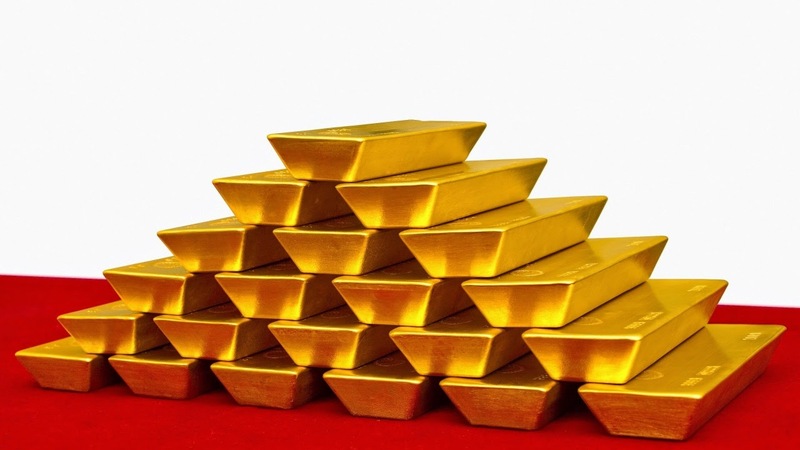 Gold bullion holdings hit a record 2,632 tonnes or 93 million ounces in December 2012. Retail investors in silver continue to reduce their exposure to physical silver-backed ETFs which at the start of October reached a record 20,182 tonnes. Last week silver funds lost just over 100 tonnes, dropping total holdings to 19,830 tonnes. Like ETF investors, speculators in gold futures and options turned more bullish last week, while negative sentiment towards silver continued on the derivatives market. Bullish bets on gold – net long positions held by large investors like hedge funds – jumped nearly 40% in the week to October 14 according to Commodity Futures Trading Commission data. It was the first time in nine weeks hedge funds added to their bullish positioning after falling to the lowest level this year the week before. On a net basis hedge funds hold 51,994 gold lots or 5.2 million ounces, still well below the year high of 144,272 lots. Silver price speculators moved further into a net short position totaling 9,089 contracts. It marks a dramatic reversal in sentiment towards silver by large investors or so-called managed money, from record longs of 46,795 or 240 million ounces only a three months ago.